Tea is my favourite everyday drink, and the health benefits of certain types such as Matcha are becoming more and more well known. But what about using tea leaves in a face mask? 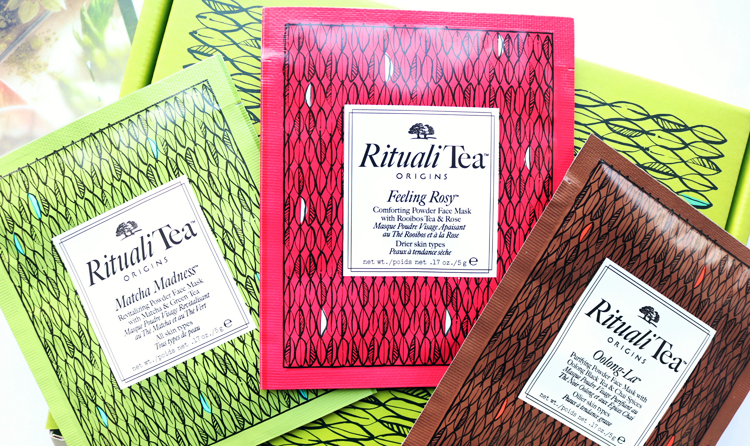 Origins' latest release does just that with its new RitualiTea range. Just before Christmas, I was kindly sent a lovely package from Origins which featured three samples of their brand new RitualiTea Powder Face Masks. As tea is packed full of antioxidants, it's no wonder that skincare brands are now using this as a key ingredient in some of their products, and are harnessing its benefits to create formulas which are centred around a more holistic approach to improving skin health. 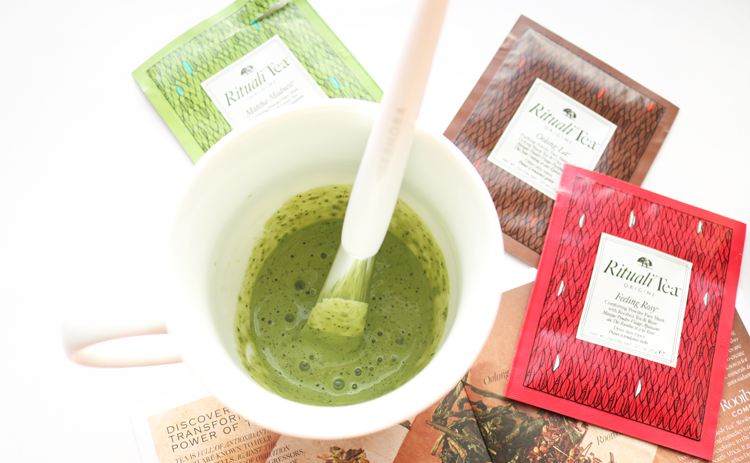 Matcha Madness - For all skin types, this mask is aimed at revitalising and renewing the skin. Feeling Rosy - A comforting treat for drier skin types which uses Rooibos 'Red Bush Tea' to soften, smooth and rejuvenate. Oolong-La - For oilier skin types, this mask is designed to purify and clear your complexion with antioxidant rich Oolong Black Tea and Chai Spices. 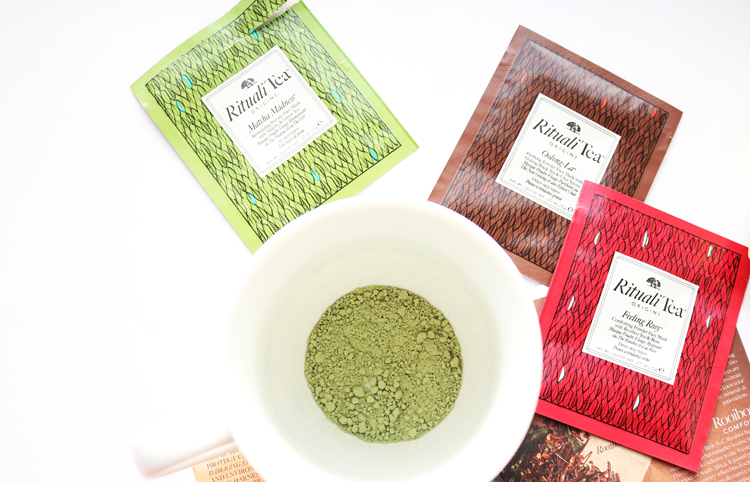 All of the full-size RitualiTea Face Masks come in tubs that house the loose powder. This powder is made up of finely ground tea leaves (it takes up to 6000 tea leaves and buds to create just one pound of micro-fine tea powder - that's a LOT of tea leaves! ), which is blended with a range of other ingredients such as Oat Kernel, Sweet Almond Oil and several different essential oils to name but a few, which makes up the overall face mask formula. The tea leaves are third or fourth on the ingredients list, and such a high percentage is used to ensure as much of the tea comes into contact with your skin as possible for the most effective results. I've used a couple of loose powder face masks in the past, and I really enjoy the mixing process (it makes me feel like some sort of genius chemist!). It's quick and easy to do - all you need is a bowl or mug, a spatula or similar mixing tool (I used my faithful Sephora Face Mask Brush), and some water. Origins recommend mixing two level teaspoons of powder with two teaspoons of water which is what I did. It quickly lathers up to a creamy/frothy consistency that you can then apply to a clean face and leave on for 10 minutes. During the application, I felt a pleasant cooling sensation which was followed by a tightening effect as it began to dry. 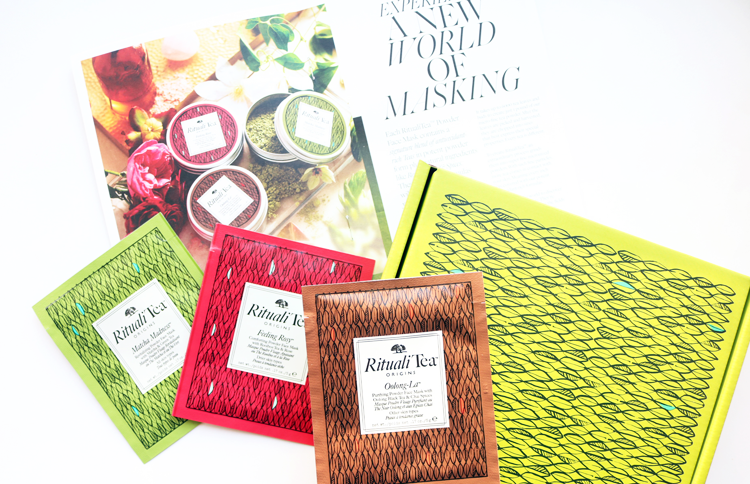 Each mask does smell quite strongly of its main tea ingredient (the Matcha especially so! ), but as I love drinking tea, it didn't annoy me or anything like that. I found the mask was easy to remove with some warm water and a cotton flannel afterwards. I've tried all three samples of the masks, and whilst they are all good in their own way, my overall favourite was Matcha Madness. This mask is a great way to instantly brighten up a dull complexion, and my skin was left feeling really smooth as the tea leaves act as a gentle natural exfoliator. My complexion also looked noticeably refreshed and revitalised - I love it! 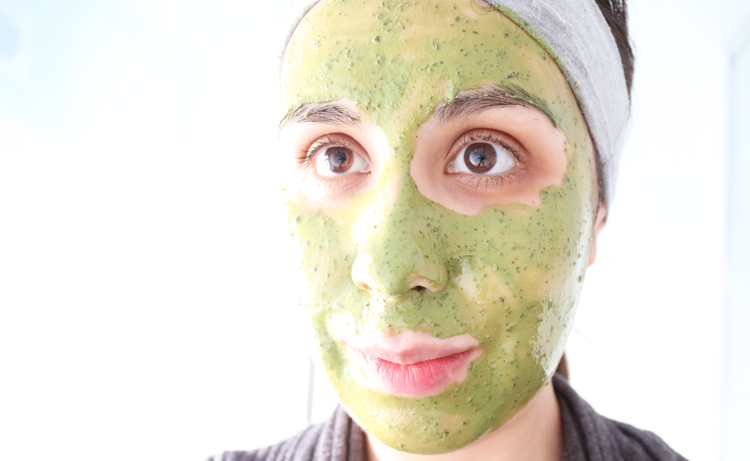 Would you try a tea based face mask? Very Interesting I did not know they have powder face masks! I have tried a couple other face masks by Origins from b-glowing and loved them. I will be looking into these more and trying them soon!